In the distance, besides the great wall, were numerous graves. But they they are too tiny to been seen on this online image. Beyond the Wall is the 贺兰山Helan Shan Mountains. 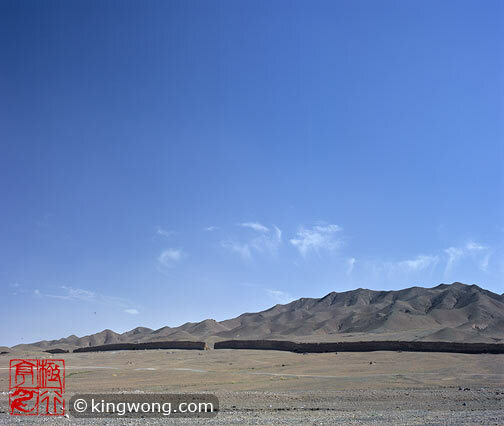 Sanguankou Great Wall runs parallel to this mountain range that is now the natural borderline between 宁夏回族自治区Ningxia Hui Autonomous Region and 内蒙古Neimenggu (Inner Mongolia).